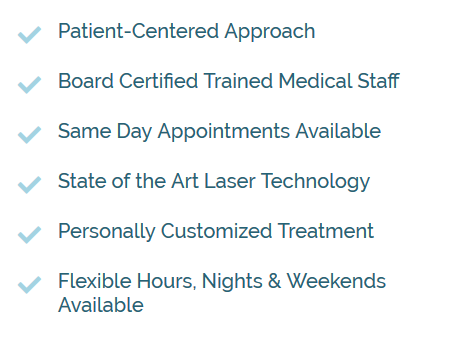 Are you interested in resurfacing your skin but unsure about lasers or chemicals? What is a Micro-Fresh Treatment? Our Micro-Fresh treatment combines the exfoliating benefits of microdermabrasion with a refreshing facial mask to create smooth, nourished skin. Micro-Fresh begins with microdermabrasion, a treatment that uses a handheld tool to gently sand away the outer layer of your skin. Microdermabrasion is a minimally-invasive treatment that leaves the skin refreshed, smooth and soft. This treatment exfoliates the skin and treats multiple skin conditions. Some of these are light scarring, sun damage, discoloration, and uneven skin texture. Microdermabrasion is typically a stand-alone treatment. But at Elite Medical Skin and Laser Center we also offer it in conjunction with a Refreshing Mask. Exfoliation leaves your skin feeling revitalized, but the new surface is also sensitive. Our herbal-based Refreshing Mask calms stressed or vulnerable skin. The mask is the perfect complement to our microdermabrasion treatment. We also offer microdermabrasion with a lactic acid peel. But if you want to hydrate and moisturize your skin, the mask is the perfect follow up to exfoliation. Microdermabrasion involves no knives, needles or synthetic chemicals and has minimal side effects. A slight pink or flushed tone is common after treatment and should subside in a few hours. Patients may feel a mild scratching sensation from the vibration of the tool and the exfoliation. These feelings will subside at the completion of treatment. The mask contains natural ingredients that relax the skin. It also reduces dryness and flakiness that sometimes occur after exfoliation. We may ask you to wear sunscreen and limit sun exposure to maintain your skin’s new, rejuvenated surface. A Micro-Fresh treatment requires no downtime. and we will share all the possible side effects and risks associated with this treatment. We will also explain any necessary aftercare. The results of a Micro-Fresh treatment are generally long term. But we may recommend sessions depending on skin type and condition. A good skincare regimen and follow-up maintenance treatments can help maintain your results. Microdermabrasion helps strengthen collagen to make your skin appear smooth. Redness or swelling may occur during treatment but subside within a few hours. Results can last for months or longer depending on the number of treatments and how you take care of your skin. Call us at (281) 214-7777 to schedule a microdermabrasion treatment today.